Some of the showier autumn flowers are also uncommon. I visited Frank Kershaw's garden earlier this week and saw both the showy and the uncommon. 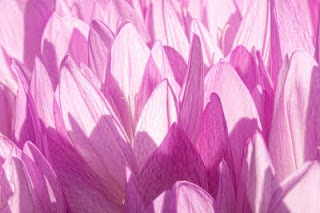 His autumn crocus, Colchicum The Giant was a brilliant show as you can see from the photos. 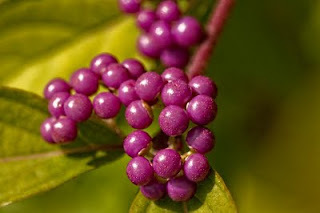 His Callicarpa, Beauty Berry, is just starting to show it's beautiful purple colour, and I expect to see an ever better show next week. 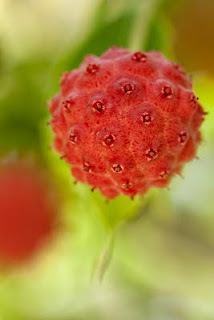 Finally, his Dogwood Kouza berries (I know, not flowers) were wonderful - so full of texture and colour. Enjoy!